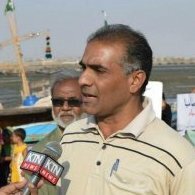 Saeed Baloch, veteran activist and campaigner for fishermen’s rights in Pakistan, was arrested on the 16th of January 2016 by Pakistani forces. Hemantha Withanage, Executive Director at the Center for Environmental Justice and a member of Friends of the Earth Sri Lanka, spoke with Real World Radio about the charges (or lack thereof) brought against Baloch and claims the incarceration is believed to be illegal and unjust. Baloch, a well known national-level activist in Pakistan, is the General Secretary of the Pakistan Fisherfolk Forum (PFF), also associated within the Jubilee South and the Asian Development Bank (ADB) networks. His activism for defending the rights of indigenous and local communities in Pakistan is believed to have contributed to his arrest. According to Withanage, Baloch has openly expressed his disapproval and has fought against Chinese trollers fishing in Pakistani waters. Trollers have been a large problem in the Indian Ocean region and have led to illegal overfishing, causing devastation of fish resources for local communities. Withanage has stated that Baloch has not been seen nor heard of since his arrest. There is no information about what he is charged with and Pakistani forces have yet to present Baloch in court. Civil society groups have expressed their fear for his safety and reject his unlawful incarceration. An online petition is currently being circulated, addressing the Prime Minister of Pakistan to immediately release Saeed Baloch.